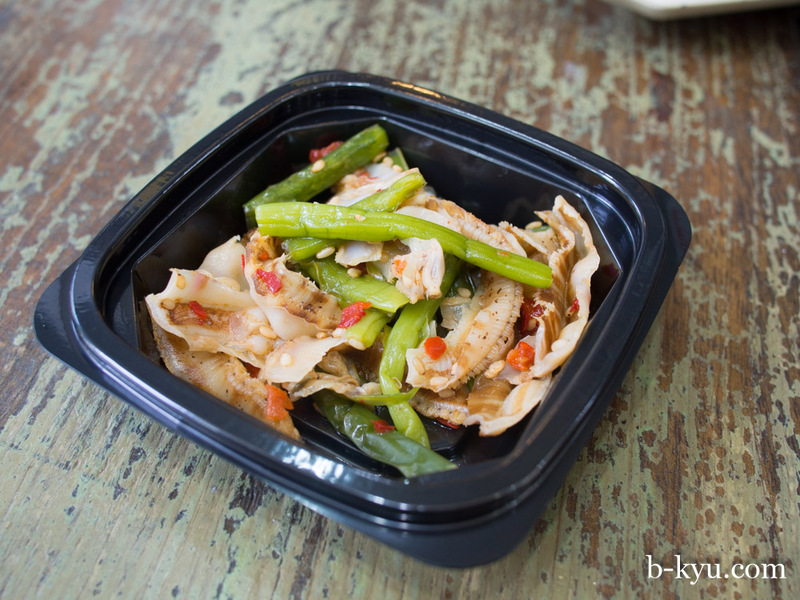 We've been hitting Oiden lately on those days when we're just a little bit hungry, those $3.90 bowls are perfect when you feel like a healthy-ish snack sized feed. Oiden will try to derail your plan for a cheap healthy lunch with a bunch of crunchy panko covered deep fried goodies within easy reach, like choccies at a supermarket checkout. But be strong fellow calorie-tightwads, because Oiden's basic rice'n'stuff bowls deserve to be savoured and celebrated on their own, those suckers transport us straight back to Japan, the gyudon (stewed beef) bowl in particular. Stewed beef bowl - $3.90 (small). 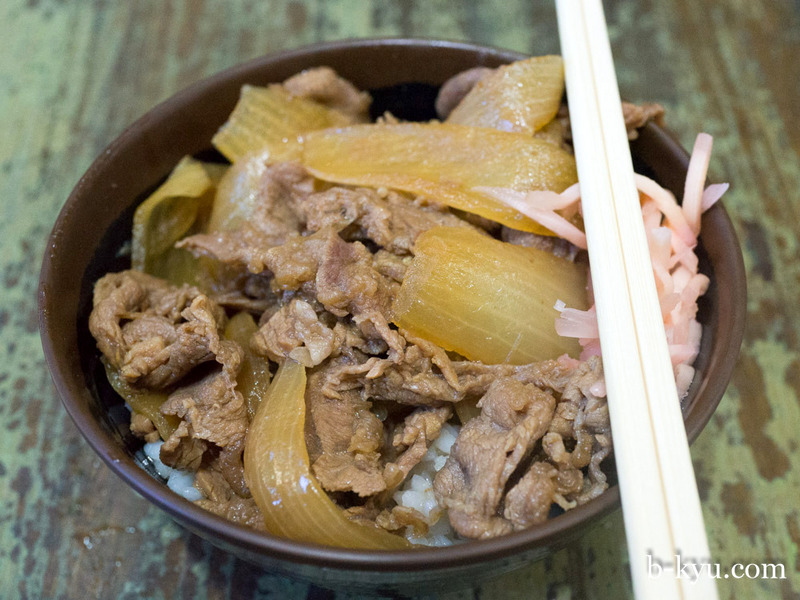 Aaahhhh, a classic gyudon - thinly sliced beef and onions simmered in soy, mirin and dashi stock. Gyudon is one of our favourite b-kyu dishes and this version takes us straight back to Japan. 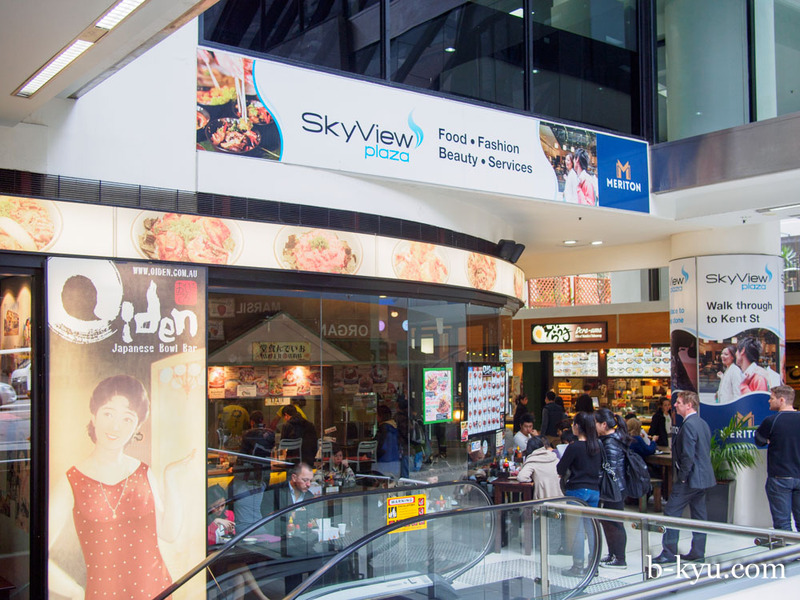 It also reminds us that Sydney had a Yoshinoya all but briefly a few years ago in Oxford Street, we wonder if they waited till about now whether the chain would have taken off. 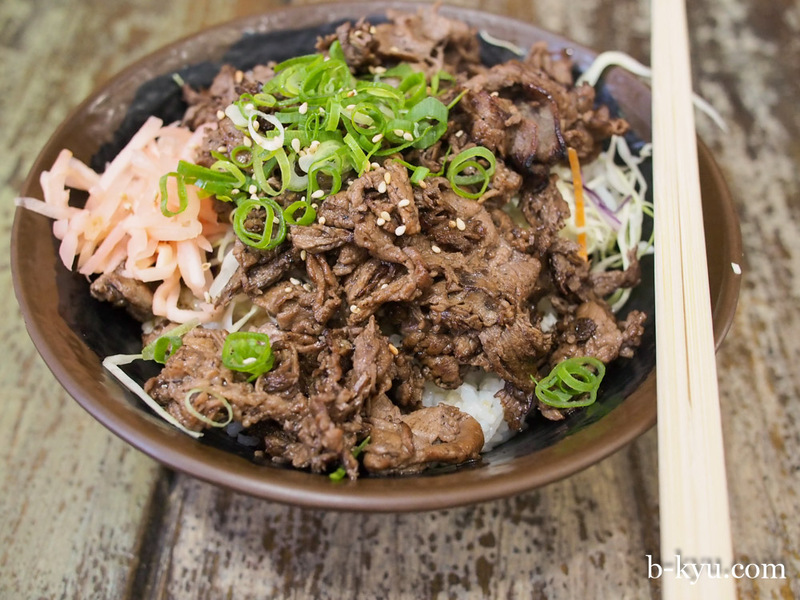 Hashed beef bowl - $3.90 (small). 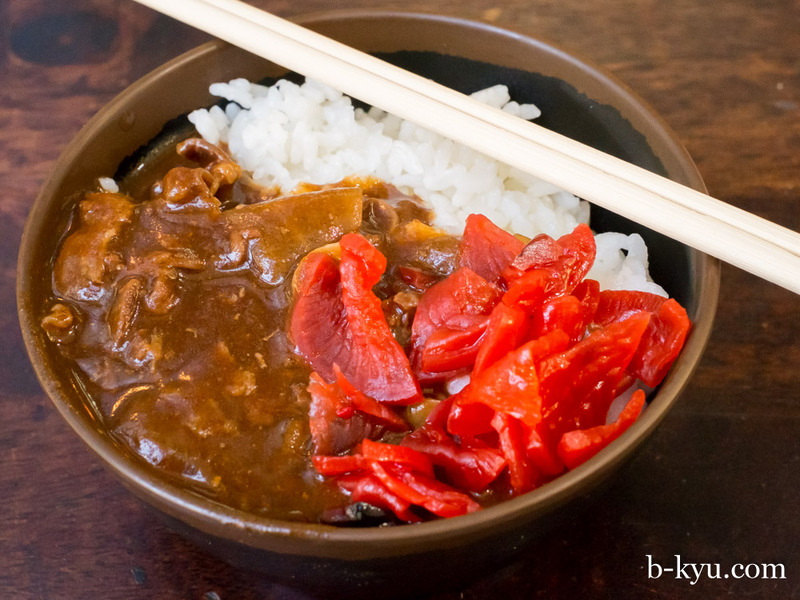 Thinly sliced beef in gravy, it tastes western and homely, like savoury mince with tomato sauce, prettied up with some mellow flavoured red pickles. 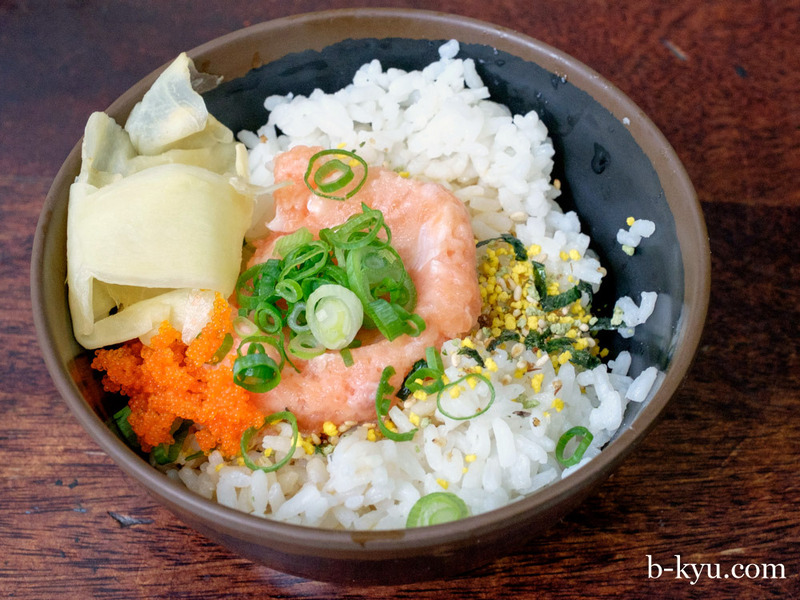 Plain salmon bowl (small) - $4.50. 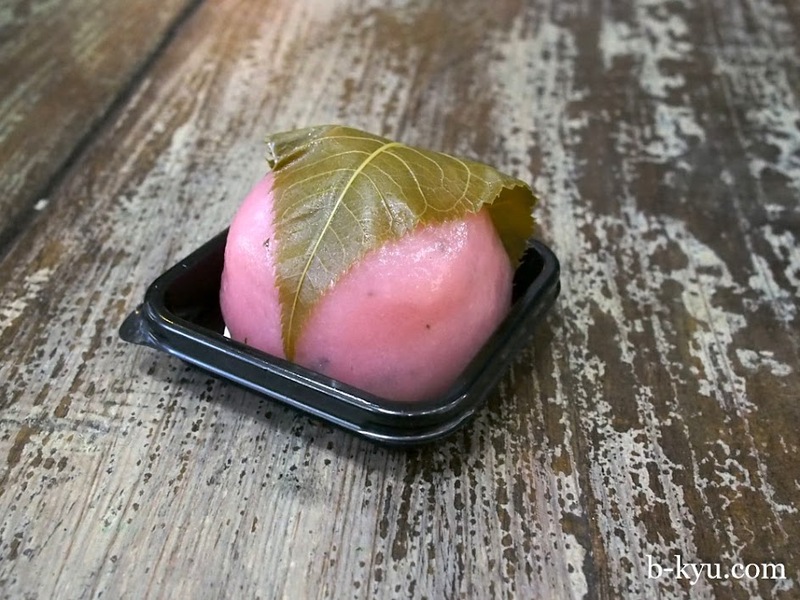 The dollop of minced raw salmon may look small but it has plenty of flavour to go around, plus a fresh salty fishy kick from the flying fish roe and ginger. Shawn had to have this light clean healthy meal, feeling gross after a breakfast of baklava. Several pieces. He could feel the sugar syrup oozing through his pores. Oh the life of a helpless sugar junky. 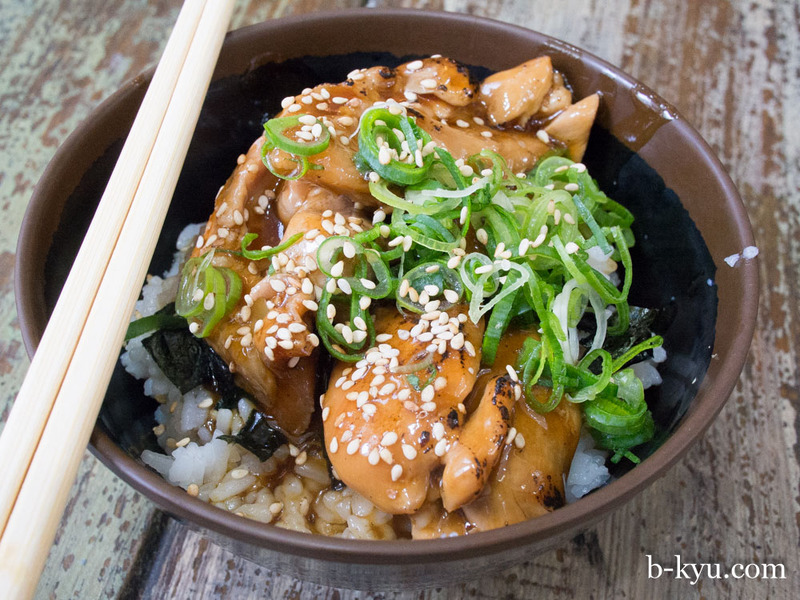 Chicken teriyaki bowl - $3.90 (small). We're not big on this stuff but we take one for the team in the name of research. First world problems. The chicken pieces are plump and moist and the sauce is sweet and bbq-y and salty, great at first but that sauce gets a bit too sweet after a couple of bites. Plain BBQ Beef Bowl - $8.90 (regular). This one's a bit fancy but worth the extra fiver. The beef is finely sliced and grilled getting a lovely smokey bbq flavour to it. It's given a fresh zing with coleslaw and pickled ginger. Yay. Still prefer the classic $3.90 beef bowl though. Ontama takana salmon - $3.90. Flake fishy bits on rice and a lovely soft boiled googy. 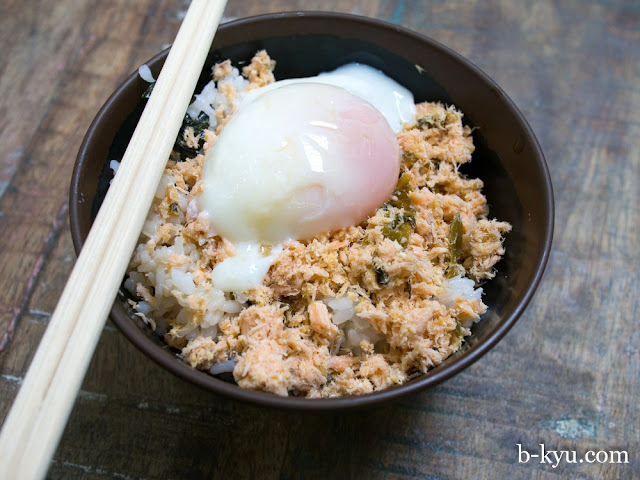 It tastes like when we make tightarse chirashi at home with boiled rice, tinned tuna and Japanese sprinkles. Well, we can't always resist the sides, especially the scallop salad. Nor can we resist the occasional sweetie. They always get you in the end. We're impressed at how Oiden has kept the quality up since launch. Lesser operators would have let standards slip or jacked up the prices or skewed the menu away from the original concept. Kudos to the Menya folks who run Oiden, these are the same Menya folks operate the hugely popular Menya Mappen next door and Menya Noodle Bar, one of Sydney's most underrated ramen spots. They be smart folks. 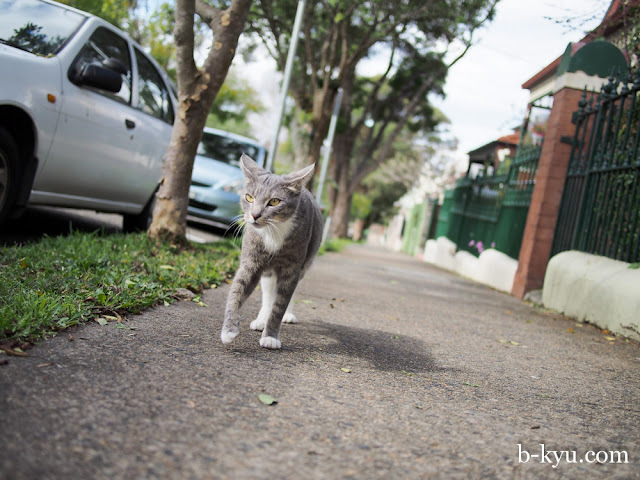 This post was brought to you by Mr Bono J. Pussycat of Stanmore. He's a super smoochy pat floozy. 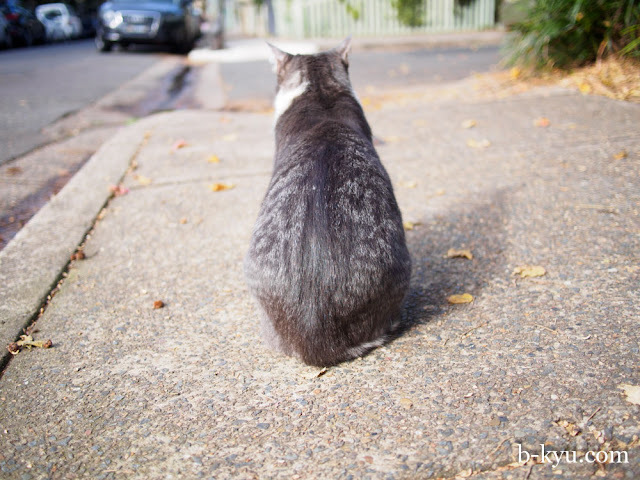 Every time we tried to walk away walk away to take a photo of him, Bono would follow. Not everybody has been so cooperative however. Meal plans for next week's homecooking - all of the above. Salivating so badly right now lol. R-A-D-I-O ~ B-Kyu on 2SER!